We're pleased to introduce the BattleTag™, a new way for players to identify themselves and communicate on Battle.net® -- and you can get a first taste of what’s in store in the Diablo® III beta test. A BattleTag is a unified, player-chosen nickname that will identify you across all of Battle.net -- in Blizzard Entertainment games, on our official websites, and in our community forums. Similar to the Real ID system, BattleTags will ultimately give players on Battle.net a new way to manage public profiles, find and chat with friends they've met while playing, form groups, and stay connected across multiple Blizzard games. While most of these features are coming soon, players who wish to pick a BattleTag now can do so via Battle.net Account Management. Note that BattleTags are not unique, meaning multiple players can choose the same BattleTag. For now, we’ll be testing some basic in-game functionality (including in-game chat and friends list support) in the next patch for the Diablo III beta test. Players are also now able to use a BattleTag when posting on the Diablo III community websites. In the future, BattleTags will be integrated into other Blizzard games and services such as World of Warcraft® and StarCraft® II (and their related forums and websites), and we look forward to sharing more about all of the ways they’ll help you connect and play in the months ahead. Stay tuned to Blizzard's official community sites for further details. To learn more about BattleTags, check out the official FAQ below -- or head to the Battle.net website to create yours today. What is a Battle.net® BattleTag™? A BattleTag™ is a unified, player-chosen nickname that will identify you across all of Battle.net – in Blizzard Entertainment games, on our websites, and in our community forums. Similar to Real ID, BattleTags will give players on Battle.net a new way to find and chat with friends they’ve met in-game, form friendships, form groups, and stay connected across multiple Blizzard Entertainment games. BattleTags will also provide a new option for displaying public profiles. When will BattleTags go live? We will soon begin limited testing of some features and functionality of BattleTags in the Diablo® III beta test, and the feature will be available to Diablo III players at launch. BattleTags will be integrated into other Blizzard games and services such as World of Warcraft® and StarCraft® II at some point in the future, but we don’t have exact rollout plans to share just yet. Will my BattleTag be unique? A player’s BattleTag is not unique, so you won’t need to worry about whether your preferred name is available. You can use any name you wish, as long as it adheres to the BattleTag Naming Policy. Only one BattleTag can be associated with each Battle.net account. If my BattleTag isn’t unique, what makes me uniquely identifiable? How will I know I’m adding the right friend to my friends list? Each BattleTag is automatically assigned a 4-digit BattleTag code, which combines with your chosen name to create a unique identifier (e.g. AwesomeGnome#3592). Your BattleTag and code are viewable when you log in to the Battle.net website and within the Diablo III beta client, and can be shared with other players who want to add you to their friends list manually. You will also be able to add BattleTags to your friends list within the context of a game (by clicking a person’s BattleTag when he or she sends you a message, for example) without knowing their BattleTag code. 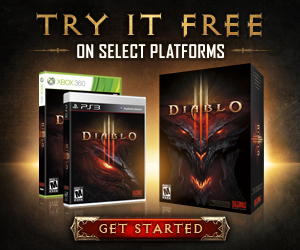 I’m not in the Diablo III beta – can I choose a BattleTag now anyway? Sure! You can pick your BattleTag now through Battle.net Account Management, regardless of whether you’re participating in the Diablo III beta test. Simply visit the BattleTag creation page to get started. Make sure to choose a handle you will be happy with in the long term and that abides by our Naming Policy, as you will be unable to change your BattleTag once you’ve selected it. We plan to provide a way for players to change their BattleTags in the future, but we don’t have any further details to share just yet. Where will my BattleTag be seen? During the Diablo III beta test, your BattleTag will be seen in the Diablo III client (on friends lists and in chat), on the Diablo III forums, and in Battle.net Account Management. In the future, expect it to be displayed in other Blizzard games like StarCraft II and World of Warcraft on friends lists, in chat, or when making posts on their associated forums. We’ll have further details on how and where your BattleTag will be displayed in the future. When will World of Warcraft and StarCraft II support BattleTags? Our plan is for all current and future Blizzard games to support BattleTags eventually. However, we don’t have any announcements to make regarding when BattleTags will be integrated into World of Warcraft or StarCraft II at this time. Do I need to choose my BattleTag now? You will only be required to create a BattleTag now if you’d like to log in to the Diablo III beta client (beginning with an upcoming patch) or to use a Diablo III-related identity on the Diablo III forums. You will still be able to post on these forums using a World of Warcraft or StarCraft II character name if you wish. Will I still be able to display my character on my profile or Armory page? Armory profiles will be unaffected by the introduction of BattleTags. We’ll have more information on how BattleTags will be integrated into existing games in the future. How will this affect World of Warcraft? BattleTags will add a new way for you to make friendships and communicate in World of Warcraft. For example, you’ll be able to create cross-game, cross-realm friendships with your BattleTag, similar to the way Real ID works now. We’ll have more details to share closer to the feature’s launch. Will this affect my existing Real ID friendships? No. Your Real ID friendships will continue to exist, and all of the features and benefits of Real ID will remain available to you. BattleTags will simply give players another way to connect and communicate across Blizzard games. For example, if two players aren’t Real ID friends but want to stay in touch across Battle.net, they’ll be able to establish a BattleTag-based friendship; in the future, BattleTag friends will have access to many of the communication benefits (such as cross-game chat) currently available to Real ID friends. Do BattleTags replace Real ID? Can I create new Real ID friendships? BattleTags are a new feature separate from Real ID. Real ID will continue to work as it always has, and you can continue to create Real ID friendships with people you know in real life. Will this affect my World of Warcraft or StarCraft II character names in any way? Your World of Warcraft character names will continue to exist and work as they currently do. We’re still in the process of determining how we will handle StarCraft II character names once BattleTags are integrated into the game. How does my BattleTag™ work in the Diablo III beta? Only some BattleTag features will be available during the Diablo III beta test. At first, players will be able to add friends to their friends list using their BattleTags, though new or different features may be available at different times during testing process. We’ll have more information on all of the features of BattleTags in Diablo III with the launch of the game next year. To add a friend via their BattleTag manually in the Diablo III beta client, simply type their BattleTag and code (e.g. DemonStomper#1537) into the Add a Friend field in the Add Friend interface. This will send the player a BattleTag friend request; if the other player accepts your request, your BattleTags will appear on each other’s friends lists.